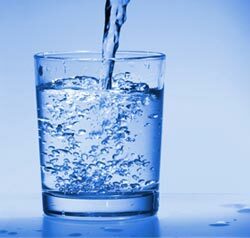 New European regulations came into effect on 1st January 2004 stating that water intended for human consumption must be regularly monitored to ensure that it is free from microorganisms and that it meets quality standards set out in the European Communities Drinking Water Regulations, 2000 S.I. No. 439. These regulations were updated in 2007 and are set out in S.I. 122 of 2004. Used to regularly monitor the organoleptic and microbiology quality of the drinking water a check analysis suite provides information on the effectiveness of water treatment and gives an indication as to whether the water intended for human consumption complies with the Drinking water regulations The parameters that are required to be analysed in a check monitor are listed below. Used to check the compliance of all the parameters set out in the European Communities Drinking Water Regulations, 2000 S.I. No. 439 . The full range of analysis for the audit suite is listed below. For more information about parametric values and water quality monitoring see the European Communities Drinking Water Regulations, 2000 S.I. No. 439.